Tonight, the only news in the ongoing sugar cane crisis is that there is no news. Late this evening News Five spoke to an official of the BSCFA who told us that there has been no word back from government yet. Prime Minister Dean Barrow left Monday’s meeting with a commitment to meet with ASR/B.S.I., and the BSCFA’s negotiating team have agreed to hold tight until the meeting is concluded. 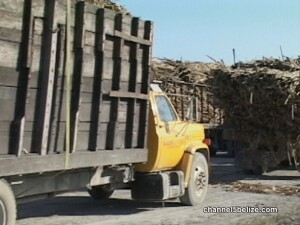 We understand the meeting is to take place in Belize City this Wednesday, but have been unable to confirm that report. If nothing favourable comes out of this meeting, the BSCFA will then meet with the general assembly of cane-farmers from Orange Walk and Corozal at the first opportunity. At that point, it is very likely that there will be some sort of action by farmers, and that is a scenario that nobody wants. The crop was to have started on Monday, December eighth. The Prime Minister has expressed optimism now that it will start by Christmas.